The Alcatel-Lucent CBX-500 is a leading multiservice WAN switch that provides support for a wide range of the latest technologies and developments in today’s carrier and service provider networks. The 5 Gbps switch supports ATM, IP switching, Frame Relay and additional support for 100-Mbps Ethernet IP as well as high-density DS3. Each new or used Alcatel-Lucent CBX-500 supports up to 30 software-configurable IMA bundles that contain from one to eight E1 links. The models also provide flexible ATM access services between E1 and STM-1 line speeds. These and other capabilities make the Alcatel-Lucent CBX-500 a leading WAN option for many multiservice network environments. Worldwide Supply offers used Alcatel-Lucent CBX-500s that feature 16 slots paired with high port densities of up to 64,000 nodes per network. We’ve reviewed and repaired all units to ensure top dedicated signal processing, VNN topology management and more. Each feature is designed to work with your network and offer dedicated support for applications as well as almost any number of end-users that you can muster. These multiservice switches are designed to deliver high-speed network capabilities in a wide range of environments to support growth. Used & refurbished Alcatel-Lucent CBX-500 models from Worldwide Supply retain the top OEM qualities and are verified to be a reliable addition to your network. We thoroughly test every unit in a variety of real-world scenarios. Each model is brought back up to original OEM standards and capabilities then backed by a lifetime warranty. You can browse new and used Alcatel-Lucent CBX-500s below to find the right package designed for you, at savings of up to 80% off original OEM pricing. Refurbished units allow us to provide you with high-quality options at an affordable rate, letting you expand as needed without eating your entire budget. You can save further with our NetGuard Maintenance package for the Alcatel-Lucent CBX-500s and more than 200 other product families from dozens of OEMs. It’s a smart way to simplify your network maintenance, get access to quality spares and parts, and reduce IT costs by more than 50% in most situations. Take full advantage of the switch’s custom silicon design, quad-plane switch architecture, MPLS support, ATM VCC and internetworking services, cell rate monitoring and much more. By supporting up to 96,000 additional cell buffers per I/O module and as many as 1,000 VPNs per switch, you have the power you need to expand. The multiprocessor and custom silicon design provide support for leading throughput, with 128K cell buffers to offer high levels of data integrity. Each option delivers access to VPC/PVC point-to-point, point-to-multipoint and MPT functionality. Congestion is managed using Lucent’s VNN packet routing for large networks. The company says this delivers end-to-end delay mitigation, VPN support, cell delay variation and loss ratio limitations and custom options for point-to-multipoint connections. 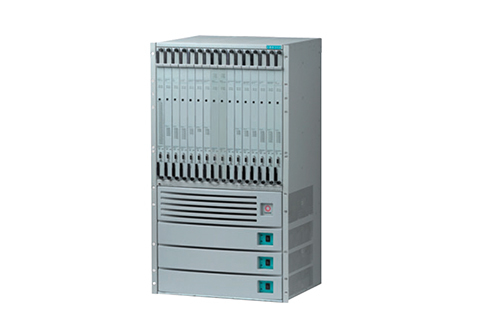 Each refurbished Alcatel-Lucent CBX-500 is safe, secure and simple to install. Choose the form factor you need and the strength your network demands, all at a price that furthers your growth potential by working with Worldwide Supply.